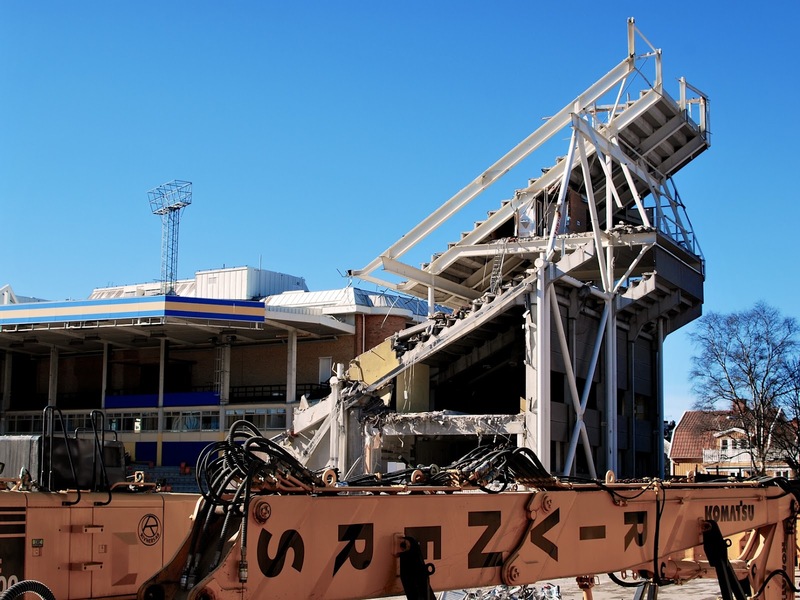 The legendary football stadium is being torn down. The north section which used to be the main one for the home team fans is is be taken down first. It will be replaced with something a lot more generic. The stadium function has been moved a kilometer or so to the new Arena City. Råstasjön - 100 m from a lake. 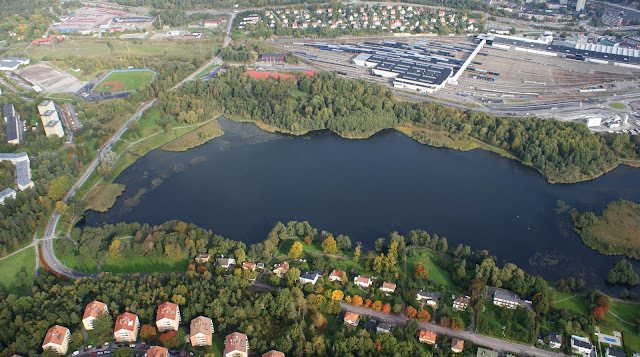 Råsta sjön aerial perspective, by Jan Ainali CC-license. From wikpedia article about Råstasjön. Solna is proposing a series of developments on the north of Råstasjön, a small lake surround by nature and houses. Enveloped by the railroad landscape on two sides. Suburban modernistic housing on one side. Recently a large arena was built and the surrounding complex with housing, offices a gigantic shopping mall is under construction to the east of the lake. To the north (up in the above photo) and housing are is proposed between the small forest north of the lake and the railroad yard to the north.